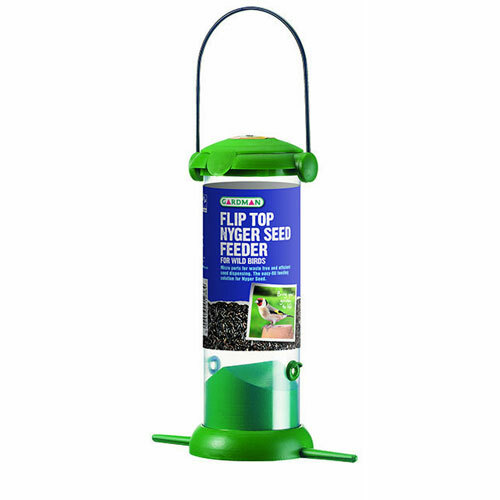 Gardman Flip Top Nyger Seed Feeder for Wild Birds provides a durable plastic feeder for nyger seed, with micro ports for waste-free and efficient seed dispensing. A ready-to-hang wild bird feeder with easy re-fill flip top lid designed for one handed opening, ideal solution for handling messy Nyger Seed. Approx Nyger feed capacity is 270g.